This web site is a property and is under control of Oi REALTOR Barcelona. If you use this web-page, you accept the terms & conditions detailed below. Present General Conditions of Use regulate the access and use of the web portal oirealtor.com. 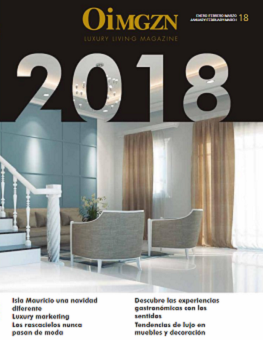 This portal was created by Oi Realtor team with an aim to be the best portal of luxury properties on sale and to rent in Barcelona and in order to offer the best services to its users and clients. The data that is provided by the users of the Oi Realtor portal will be only given to other users of this portal in the case if this data and/or information don’t violate the legal terms or this General Conditions of Use. That doesn’t create the impression that the content of the Oi Realtor web page belong to or was designed by the owners, managers or advertisers of the page from which the link is established. Oi Realtor resrves the right to diffuse and modify the Advertisement by Advertisers on the third portals, on the advertising campaigns that promote the web-site, the proper ones, as well as the third parties ones with which the portal could reach the agreement, as well as on the other web sites, likewise social networks or blogs, just in case the Advertiser accepts this condition for a maximum period, provided by the Law and for a major geographic area. Oi Realtor reservs the right to modify the existing General Conditions of Usage, only with the purpose to adjust it to the current legislation applicable in every moment. From the User’s side, all usage of any Portal Services entails his adherence and acceptance of all General Conditions of use in the published version in this portal from the moment that the user starts using the portal, as well as the Specific Conditions that are applied in this case. The User is committed to use the portal and of services in a diligent way according to the valid laws, good practices and to the General Conditions written in this document and, in its case, to the specific conditions, as well as to respect the other users of the mentioned portal. Oi Realtor doesn’t require the registration of the user in order to access the services that the portal offers. The User is obliged to respect the applicable laws and the rights of the other users to use the contents and the services of the web page. Oi Realtor is the owner of all elements that create the integrated web design: menus, navigation buttons, HTML codes, texts, pictures, textures, graphics and any other content of the web page or, in the other case, has a correspondent authorization to use the mentioned elements. Therefore, the User is only allowed to view all the material and content of this page the way it is presented or to download only one copy to one computer for the personal and private use, and never for commercial purposes, always when the User complies with all industrial and intellectual property regulations. The User provides a right to reproduce, distribute, transform and communicate publicly the photos that are inserted to its advertisement for the purposes described in the part Objectives in this Legal Notice, as well as to add the Oi Realtor watermarks in order to avoid the use of the third parties. The users of Oi Realtor are prohibited to perform the actions as: to share publicly the content of the web portal as well as of the others users without the previous authorization. Actions that have an intention to damage the correct work of the web portal Oi Realtor. Copy, modify, block or overwrite are totally prohibited with the unique exception that it is totally necessary for the correct use of the web portal. The use of the content of Oi Realtor for unlawful and prohibited by General Conditions purposes that are mentioned here and in specific conditions that are considered such as they can entail consequences for the interests of Oi Realtor, its workers and users. Oi Realtor is not responsible, with the limits established by the Existing Legal laws, for the damages and harm that could happen to the user caused by unavailability, access or continuation failures of the portal and its services with the reason of its own Internet characteristics and/or any other force majeure causes that could have carried out the problems with the offered services. Likewise, all responsibilities of the damage and harm are disclaimed that the visitors could suffer in their computing or telematic systems as a result of any circumstances described below. Oi Realtor has an objective to provide the updated information through its web page and for that reason, this information can vary with a certain frequency. Oi Realtor is not responsible for the communications between the users, nor for the agreements that can happen between them resulted from the advertisements on the web page. Oi Realtor doesn’t assume any responsibility for the existence of the links between the contents of this page, that are located outside of it or for any other external content mentioned in this page. Oi Realtor doesn’t perform any previous control, testings or privatization of the content, services, opinions, communication data, archives, products and any other type of information from the third parties, legal entities or individuals, collected from the portal. The same way, doesn´t guarantee legality, reliability, usefulness, truthfulness, accuracy, completeness and relevance of the content, information and services of the third parties in the portal. The User admits and accepts that all industrial and intellectual property rights over the content and other elements of the web page are the property of Oi Realtor. Oi Realtor is the owner of the elements that create the integrated design of the web: menus, navigation buttons, HTML codes, images and any other content of the web. It is prohibited to download, show or print any part of the content except through its own computer and only for the personal use. Don’t copy or duplicate any content of our web. Therefore, the User is only allowed to view all the materials and contents of this page the way it is presented and to download to only one copy of the material to the one computer for the personal private use and never for commercial use, always when the User complies with all the industrial and intellectual property rights.